Everyone wants to live a peaceful life in a safe place, however, as natural disasters, poverty and terrorism become more prevalent in some locations around the world, the criteria for finding the ultimate safe haven constantly change. What would you rate as important when looking for a safe country in which to live? A low crime rate? Lack of natural disasters? Little or no corruption? A stable political platform? In an ideal world, the perfect country to live in would tick all the above boxes and more… and some might that say that’s wishful thinking! However, there are exceptions to the rule and there are countries that have strict laws, strong cultural values and good qualities that make them perfect places to live, raise kids and happily retire. According to the 2015 Legatum Safety & Security Index, here are the ‘safest’ countries to live in around the world. 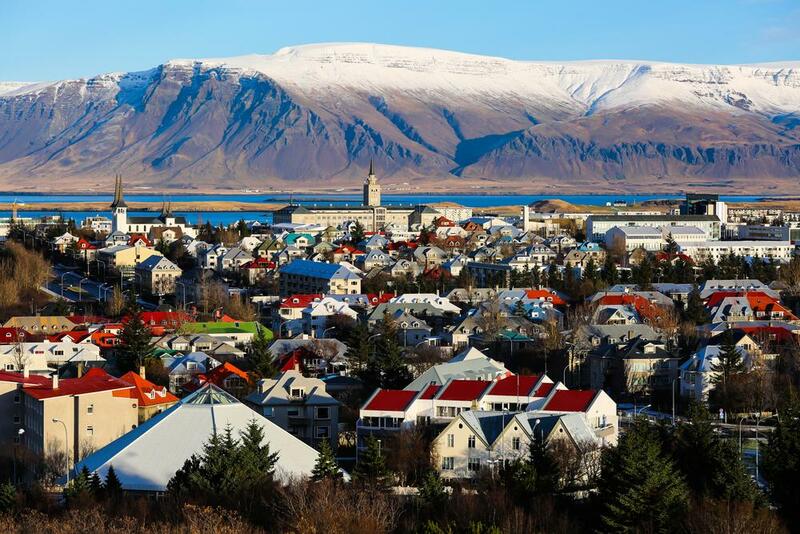 Scoring the highest Best Global Peace Index Score of 1.148, Iceland wins the title of the most peaceful country in the world in 2015. Iceland not only boasts a cold climate, stunning glaciers, glorious hot springs and impressive attractions, but also an almost non-existent crime rate. Petty crimes such as pickpocketing do not occur and Iceland’s homicide rate is the lowest in the world. Iceland does not have any standing army, but mobile rescue teams instead. While Denmark has faced many serious issues due to crime and terrorism in its past, the country has successfully tackled these issues to come out on top, being voted the world’s second safest country to live in. Denmark also takes the cake when it comes to being the happiest country too with the social divide between classes being smaller than anywhere else. Comprised of more than 400 small islands, Denmark has many things to offer in terms of outdoor, sports, coastline and culture. Austria provides the highest levels of security and peacefulness, making it the third safest country on the planet. Boasting a low population and a rich folk culture, clean cities, a well-managed public transportation system and beautiful snow-covered Alps, the city is one of the most scenic and most prosperous countries in the world. Popularly known as ‘the land of music,’ Austria has produced many timeless musicians to the world. Hailed as having “the most transparent political status” New Zealand makes it onto the list with strict laws and tough punishment that lead to a low crime rate. New Zealanders are generally calm and easy-going by nature, allowing them to lead a happy life. Cities of New Zealand are culturally rich and are worth visiting and the country boasts some of the most spectacular natural scenery on the planet, from magnificent mountain ranges, rolling green meadows, frozen glaciers and lush forests. Bustling cities, stable diplomatic relationships with its neighboring countries, a low crime rate, and a strong economy makes this country rank higher on the list of most peaceful countries in the world. Switzerland’s well-functioning government is renowned for keeping unemployment rates, political issues and violence at a record low. The country’s robust economy and strict laws attracts a plethora of international investors and it is home to world’s most famous banking institutions and businesses. Switzerland has four official languages and is divided into 26 independent states known as cantons, each with their own laws and regulations. Switzerland welcomes the outsiders with open arms and one-third of total Switzerland population is made of people who have born outside of the country. How does the Global Peace Index Score work? Mia is a freelance journalist, with over 20 years of experience in the industry. She has worked across a variety of fields, ranging from researcher, writer, and chief copy editor on various magazines and online publications, to freelance travel writer for Exclusive Adventures, Go2Africa and Kuoni Safaris South Africa.